There is much to be downbeat about these days: Whether it’s the daily drip feed of fear-filled news from around the world, or the woeful state of our debt-based economies closer to home relentlessly sucking the lifeblood out of our inner and outer worlds. In these stormy seas, we can easily lose sense of what is really going on, where the tide is really taking us. These transformational times inevitably invoke fear and can keep us clinging to out-dated modes of being and doing, constricting the very creativity, inspiration and adaptive flair we need to sail these stormy seas to calmer waters. 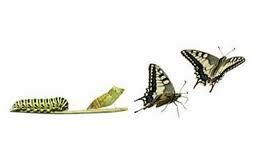 We are in the midst of a metamorphosis of epic proportions; an evolution of humanity’s consciousness no less with positive repercussions now evident in business and beyond. And this is just the beginning. Interface, the international carpets manufacturer, has been traversing the sustainability road for two decades now with much success – achieving zero-emissions in some of its facilities by embracing applied inspiration from nature (industrial ecology, biomimicry and circular economic practices to help develop processes that mimic nature). This has inspired many others, such as rival carpets manufacturer Desso which is now fully embracing circular economics and cradle-to-cradle approaches across its entire global operations with great success. What were niche practices just a few years back are now viewed as best-practice. 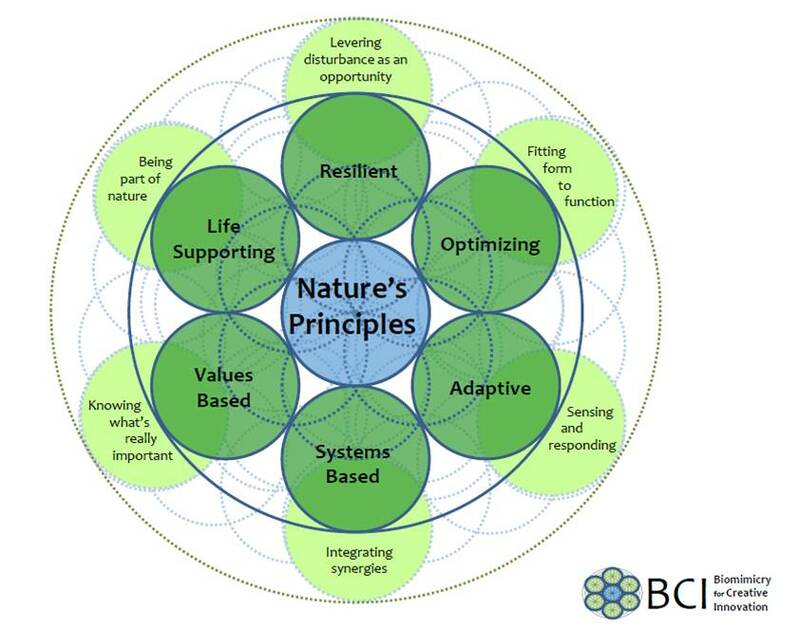 Likewise, while ‘doing less harm’ or reducing negative impact was an aim for many organisations five years ago, leading organisations are moving into regenerative business approaches that are net positive, seeking not just to be inspired by nature but to be in harmony with nature. In this regard, Interface is exploring regenerative projects across its operations. By example, the Networks project in the Philippines restores marine ecosystems by collecting discarded fishing nets and turning them into recycled carpets, and in the process local communities gain resilience. And Interface is now actively playing a part in designing and delivering biophilic workplaces where people can work in soulful spaces that seek to attune with nature’s ways. And there are the well-versed examples of the global brands Unilever (which is considering becoming a B-Corp in a move away from singular shareholder value towards wider stakeholder value and responsible business), Kingfisher (regenerative business is core to their global business strategy), Natura (now a signed up B-Corp), and Patagonia (which has long been pushing the envelope on what transforming towards sustainable and responsible business means in practice). And we all know that there are a plethora of rich and inspiring cases of pioneering organisations in the social enterprise and non-profit sectors. For instance, there are now over 1,250 B-Corp organisations in over 40 countries. This has rapidly risen over just the last few years and is indicative of an evolutionary shift in the way we create and deliver value. Beneath the surface of this sea change in our ways of doing things is a deeper shift in our worldview – both its mythos (the cultural narrative that shapes how we perceive the world) and logos (the systemic and organisational logic that underpins how we go about things). Deep and complex influences within our own psyche, our collective consciousness and in the structures pervading organisations are transforming. Our out-dated, soon-to-expire cultural story is based on separation. This story allowed us to define ourselves as independent, autonomous, free-thinking rationalists in moving on from the mythic-religious era of medieval times. The Scientific Revolution and its Age of Reason helped clarify aspects of the world around us, yet in-so-doing over-accentuated a left-brained, narrowed-down, reductive perspective. Organisms were perceived as separate from, and in competition with, their environment. We superimposed definitive, mechanistic categories on an otherwise fluid and connective nature in order to help our extrapolation and exploitation of the world around us. This objectifying, narrowing-down perspective abstracts us from the deeper inter-relational and psychic wisdom life affords us, reducing the world to little more than a collection of bits and bites, stripping our universe and humanity of meaning and purpose. Evolution itself is viewed as nothing more than a process of selfish ascendancy. While there have been myriad benefits realised from the advancement of rationalism, its narrowing-down perspective has blinkered our worldview to only perceive the extrinsic material and competitive components of the world. The logic that flows from this materialistic mythos is hallmarked by ‘Social Darwinism’ pervading much of our socio-economic models today. Organisations focus on self-preservation amid the struggle for survival in a dog-eat-dog world. Ethics are eroded in the pursuit of profit for profit’s sake. As we are now witnessing, this logic has a divisive and carcinogenic effect. The good news is that this mythos of separation and logos of competition is falling away to reveal a deeper perspective beyond. Whether it’s the disciplines of neuroscience, quantum physics, depth psychology or facilitation ecology, Western science is now recognising a deeper reality beyond the confines of its narrowed-down perspective. We now know that life is largely collaborative rather than competitive and that nothing is absolutely separate from anything else, everything exhibiting varying degrees of inter-relatedness with everything else. Separation and control are illusions created by our cultural construct, and they are beginning to breakdown. The story of ‘interbeing’ beyond separation (as referred to by Thomas Berry and others) is awakening a deeper consciousness within us and calling forth a deeper logic which transforms our sense of place and purpose in the world. While this consciousness of interbeing may feel new to our modern minds, it is actually ancient with roots spanning back to the foundations of Western philosophy, and still further back to our ancient shamanic and tantric heritage. At its heart, this story of interbeing conveys the inter-relational nature of Nature. 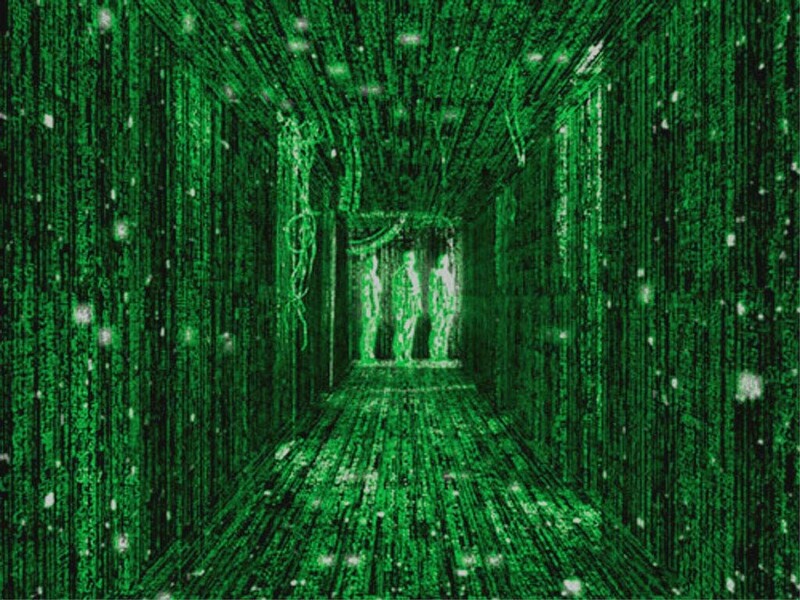 We are distinct individual expressions within a deeper matrix of inter-relatedness. The more conscious we are of this reality, the more our ego-minds begin to permeate with this deeper ecological inter-relatedness. Our sense of self opens out into an ecological Mind of Nature. This eco-logic brings a deeper awareness into our sense of self within this wise world. It also enriches our organising principles, practices and processes. As we open up to the deeper, truer nature within and all around us, we find it more and more difficult to put up with organisational structures and work spaces that are inauthentic, soulless, machines rooted in the old worldview of dog-eat-dog competition. We start to seek out work spaces that help re-align our thinking, feeling, sensing and intuiting ways of being. As our worldview shifts so too do our ways of organising ourselves; our organisations of the future will differ greatly from the organisations of today. The shift is what I refer to in The Nature of Business as a shift from ‘firms of the past’ to ‘firms of the future’. Firms of the past are managed, monitored and controlled through top-down hierarchies, and are silo’ed, atomised, quantified and KPI-obsessed. There is little space for the soulful, intuitive and emotional intelligences within us to emerge as the relentless focus on the numbers crowds out any meaningful exploration beyond the superficial and short-term. Firms of the future, on the other hand, are more akin to living organisms and ecosystems than machines, and resonate with the deeper ecological awareness coming through us. And this is not simply a metaphoric shift from ‘machine’ to ‘living’, but a metamorphic shift at personal, organisational and societal levels, where organisations, organisms and societies are no longer perceived through the lens of separation and competition but understood as permeating within an emergent, fluid and connective stakeholder ecosystem immersed within a psychical and physical inter-relational matrix of Nature. This is the common ground of our being. Firms of the future – business inspired by nature – are self-managing and organic in nature, and are decentralised, distributed, diverse, locally attuned, purpose-drive, soulful, life-supporting organisations. They are flourishing enterprises in that they provide space for the stakeholders to flourish. People manifest their sense of purpose through organisation’s delivery capability and network of relations. Locally attuned, self-organising teams of empowered, diverse stakeholders form a blend of full-time and part-time employees, self-employed associates, contractors, suppliers, customers, partners and interested parties of volunteers involved in the project team’s scope. 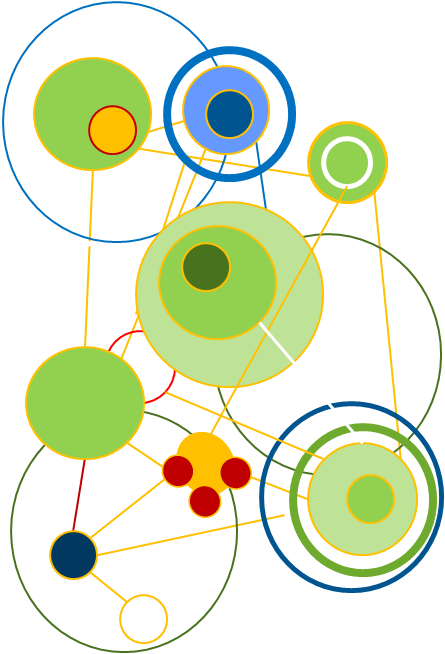 The organisation’s boundaries are semi-permeable with a hive of open innovation, creative commons, open source, peer-to-peer working as well as synergistic partner relations both globally and locally with community groups, activists, specialists and charities. The multibillion dollar Brazilian company Semco is one of a growing number of companies transforming towards a more participatory, self-organising, emergent way of doing. There are no job titles, no written policies, no HR department and all employees are associates who set their own salaries and working hours. Everyone shares in the profits and everyone knows what everyone else does. Sounds a nightmare to manage and difficult to grasp for the mechanistic mind-set. But for the new mind-set of emergence, prototyping, feeling with our instinctual and intuitive awareness and using our shared sense of purpose to guide us, the work environment becomes uncluttered, open, expansive, creative and energising. Yet, that is not to say the manager or leader become redundant. The leadership capacities of coaching, facilitating and holding the space are vital to ensure self-organisation does not drift into unproductive chaos. Facilitators are people artful in fostering a team spirit that is convivial, courageous and authentic, ever vigilant for ego-displays that undermine the soulful, emergent process of self-organising. Our ‘work’ begins to align with our vitality, passion and deeper soul-sense of meaningful contribution to something greater than our selves. The organisation becomes a living being to nurture and develop, with every one valued, empowered and engaged. As Norman Wolfe of The Living Organisation notes, when we nurture this soulful context, it becomes the soil of the cultural context and moral guide that day-to-day behaviours and decisions are rooted in. This shift is not a faraway possibility but an imminent reality, with a variety of organisations already taking meaningful steps towards a deeper ecology of business. And there is more good news. Not only are these soulful businesses more enjoyable communities to work in, but there is emerging evidence that they are more successful, profitable and resilient than the firms of old. For instance, a study done by the LAMP Index a few years back showed that companies that mimic living systems outperform their peers on a number of factors. This study is being updated with more recent data showing even more impressive results for living organisations outperforming mechanistic ones. Likewise, ex-Mckinsey consultant Frederic Laloux , in Reinventing Organisations, evidences how living, self-organising, soulful, purpose-driven organisations time and again outperform their traditional counterparts due to the intrinsic motivations these organisations foster. Making money is not the key motivator here yet profit does flow when the sense of purpose is followed. Least we forget, new ways of doing without new ways of being underpinning them will not last long. Hence, how we embody this transformation through our new ways of being is vital for our personal and organisational success in the transformative years ahead. Learning to tame our ego is perhaps the most important undertaking as we transform into the world of interbeing. Taming the ego is easier said than done and is a lifetime’s work. Gaining self-awareness and inner-sense so that we can notice when our ego starts to dominate our way of attending is paramount for our self-cultivation and for our organisation’s health and vitality. The ego will undermine the ability for the individual and organisation to flourish and evolve. Hence, the importance of experienced coaches, mentors and facilitators to hold the space for the soul to emerge and the ego to be kept in check. Six S’s to help with this unfolding journey are: stillness, somatic awareness, social awareness, small steps, synchronicity and soulful presence, all contributing to the attunement with the seventh S – a deeper Spirit within and all around us – the Sophia of Nature. Otto Sharmer and Katrin Kaufer in Leading from the Emerging Future articulate some principles of emerging organisations and ecosystems: openness, transparency, sharing, intention, holding space, conversation, awareness (from ego to eco-system awareness), commons, playfulness, diversity and symbiosis. ‘Many of the corporate ills today can be traced to behaviours driven by fearful egos: politics, bureaucratic rules and processes, endless meetings, analysis paralysis, information hoarding and secrecy, wishful thinking, ignoring problems away, lack of authenticity, silos of infighting, decision-making concentrated at the top’. And so we may see how we need to first work on permeating our own egos with the deeper ecological awareness of Nature before we can expect our organisations to move towards being in harmony with Nature. Learning to live in harmony with Nature is what this shift in consciousness is all about, and it leads us into a more creative, heartfelt, soulful, passionate and compassionate way of living and leading. This is the birthing of a new evolutionary stage of human consciousness no less. What an exciting time to be engaged the future of business. Thank you for a very condensed yet integrated picture of our un-sustainable mindset! Let’s connect and explore some synergies between your and my current research/work.